Today I finished a new math measurement center. Yipee! I love that sense of completion. I was just as happy when I finished cleaning our pantry as I am finishing a lesson. I love being able to cross off something on my “to do” list. 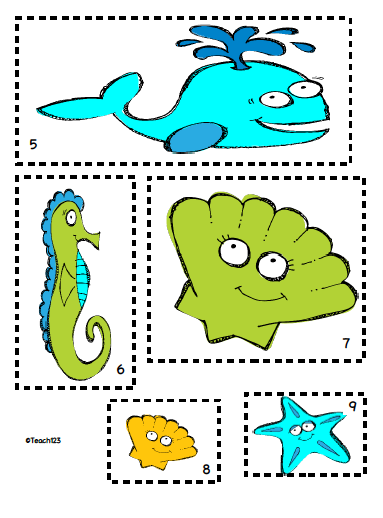 I guess I was in a summer-y mood when I made these lessons because it is ocean-themed. The theme probably had to do with me listening to California Dreaming while I was creating the lessons. It’s a little ironic for me to listen to this song since I’ve lived in California the past two years. With this new center, students will practice their measurement skills by measuring different sea creatures to the nearest half inch. There are 12 creatures to measure. There are 2 sets of creatures. 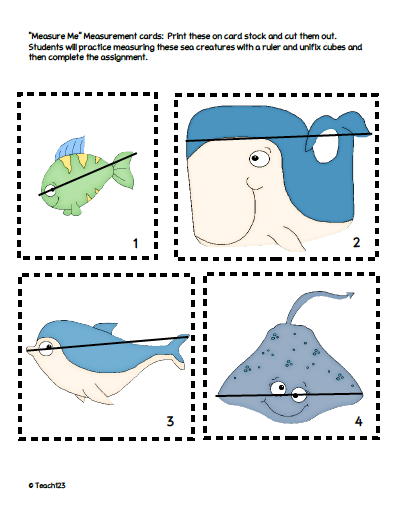 One set has a black line drawn on the creatures so your beginning math students know where to measure. The second set is the same creatures, but it doesn’t have black lines. You can easily differentiate this center by copying the creatures on different colored paper. Let your students know which color cards they need to measure. One set of cards have cards without lines and the other set has cards with lines. You could even copy the answer sheet on different colors. You could one group of students measure to the nearest inch and the other group measure to the nearest half centimeter. 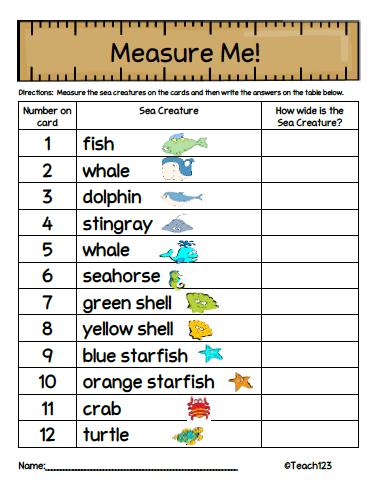 After measuring the creatures, students will record their answer on this sheet. Each measurement card has a number to make it easier for the students to see where they record their answer on this sheet. 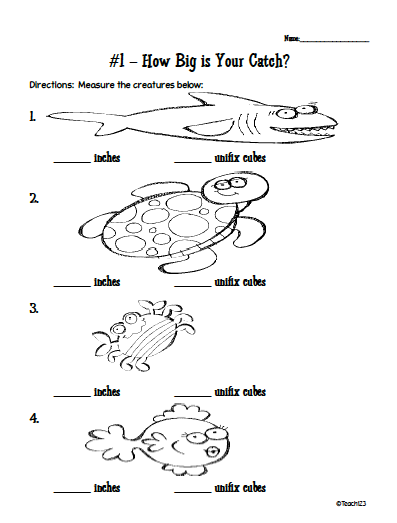 Advanced students can measure the width of the sea creatures in inches and centimeters. This cost $4 at my TPT store. I also have two more measurement centers. Students will practice their measurement skills by measuring different dinosaurs to the nearest quarter inch. Students will practice their measurement skills by measuring different pictures from Jack & the Beanstalk to the nearest quarter inch. Love the measurement activity! I've nominated you for a Versatile Blogger Award! Stop by my blog to pick it up! This is great! I love the differentiation with and without the black line! Thanks for sharing! I'm your newest follower! I hope you'll check out my new "manly" kindergarten blog!